When Facebook first came out, I thought it was just a way to keep track of friends, but with time, social media has also proven to be a powerful business tool. I'm sure you have seen many businesses prompting you to like them or referring you to their Facebook page. Having a decent Facebook page is usually not a problem for big companies with popular products like Pepsi Max, but it can be a challenge for smaller companies. Many people with small businesses want to have a presence on Facebook, but are too embarrassed about their primitive page to invite friends to like their business. This is where Gimme Creative comes into play. They design custom logos and help you create a professional looking Facebook business page. 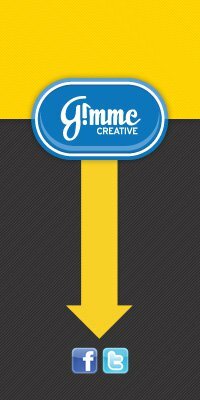 Gimme Creative was founded by Mark Long, Michael Janda, and Mike Burns. These three entrepreneurs recognized the trends in social media and created a company that helps people drive more traffic to their businesses. Their headquarters is located in American Fork, Utah. Gimme Creative not only does graphic design, but they also offer education about social media technologies and what practices are most effective. They help you build a following and then offer information about how to cultivate beneficial client relationships once someone "likes" your business. With over 500 million people on Facebook, it makes sense to get the free advertising for your business by having a business page. If you are in this category, then you should check out Gimme Creative and see how they can help you grow your business. Good luck trying to reach anyone at their 8oo number. They do not return calls nor do they respond to e-mails. Very unprofessional.